Spicer Bros is a full service roofing and exterior contractor serving the entire Delmarva Peninsula. We have showrooms in Lewes, DE and Salisbury, MD and a knowledgeable sales force in the Easton, MD area. 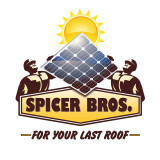 In 2002, Spicer Bros. Construction began as a small roofing company in Lewes, DE, providing local residential and commercial customers with the products they needed to complete their roofing projects. With time, our company expanded to where we are now; your one stop shop for all exterior home renovation needs. As your one stop shop, we do more than just provide roofing in Ocean City, MD and surrounding cities. We supply the professional expertise, products, and supplies to complete siding, gutters, additions, windows, doors, and a variety of other exterior home improvement projects. Through the entire process, you can always count on our friendly service. Our company has been a family owned and operated business for over 38 years. We are a small business, that is dedicated to serving our customer's needs. Our goal is 100% customer satisfaction and we strive to bring you the best in quality service. 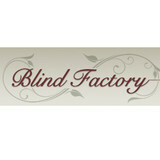 With over 40 years of experience, Blind Factory is locally owned and operated in Delaware. Our knowledgeable, professional staff will make your next window covering purchase a breeze. Enjoy our quality products at exceptional prices while still getting the service you deserve. Buying blinds, shades and shutters is easy with Blind Factory. 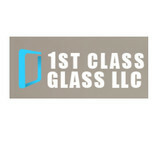 Our expert window consultants come out to your home. Our blinds and shades are custom-made, ensuring a perfect fit. In addition, all of our products come with a limited lifetime warranty. Get in touch TODAY to schedule your FREE, in-home consultation! Kolbe Gallery Jersey Shore is a full service dealer of Kolbe Windows & Doors. Our showroom features displays of Kolbe's wood, aluminum clad, and vinyl windows & doors. We're proud to provide American-made, artisan-quality Kolbe windows and doors to the Jersey Shore area. Our staff has over 100 years of combined experience with windows & doors, making us uniquely qualified to answer your questions. Our staff members will provide quick turn-around on quotes. We have Kolbe Certified Technicians to provide full service capabilities on new and previously-installed Kolbe windows and doors. They will ensure that your windows and doors function smoothly and withstand the test of time. Come visit us and see how we can help bring your dream home to life! At Window Depot of Delmarva, we are your one-stop-shop for window, siding, and door services near Salisbury, Ocean City, Berlin, Delaware, Federalsburg, MD, and the surrounding areas. We do everything from new window installations to improving the energy-efficiency in your home. Our professional experts specialize in: •Replacement windows •Siding services •New construction windows •Doors, including patio doors and entry doors •Sidings •Insulated sidings •Glass replacement •Window repair •Insulated window replacement •Energy efficient window replacement •Triple pane window installation •And much more To find out more about our services and to get a quote over the phone, contact us today. We look forward to hearing from you. Dover Window and Door is a full service, custom window and door manufacturer offering a wide variety of product solutions. Design expertise includes historic restoration, Wood curtainwall, European windows and doors, and thermally broken steel systems. For outstanding service and cost-effective construction solutions, look no further than JMJ Custom Windows & Doors. We specialize in the installation, repair, and replacement of windows and doors. At our owner-operated company, we have more than 10 years of industry experience for you to rely on. We offer you the best of both worlds: the service of a small contractor with the capabilities of a major remodeler. We specialize in Roofing, Windows, Siding, and Home Remodeling. We have over 25 years of experience, are fully insured, and are dedicated to providing you with outstanding work at sensible prices. Brian Emmons Remodeling is a family owned and operated company. We take pride in being a small business and value the relationships that we build with our customers. We have a genuine interest in our clients and helping them make their dreams come true. It is the personal touch and interactions with our costumers that make our company stand out. I cater to the eastern shore trade professionals providing Wood, Vinyl or Fiberglass doors and windows. We specialize in giving our contractor/builders personalized service from the beginning by helping their customer with their decision for their new build or renovation. From our energy efficient basic vinyl to the most sophisticated wood/clad and even window fashions such as shades or blinds. Established in 1963, Newport Builders Windowland has been providing quality products for the residents of Newport, DE for over 54 years. We provide top-notch windows, storm doors, patio doors, awnings, patio covers, and porch enclosures. Avoid big energy bills by choosing top-quality vinyl windows that will also increase your home’s curb appeal. Newport Builders Windowland offers low prices and no hidden costs! We have been providing excellent service since 1963! Whether you’re building a new Stone Harbor home, remodeling an old one or just replacing a few windows that are past their prime, your window dealer in Stone Harbor, NJ will help you pick the right windows for your needs, home style and budget. Windows come in so many sizes and types that expert advice and direction is invaluable in helping you make the best decision. These pros can also help you with custom window designs that complement your space better than something ready-made. Lastly, if you are interested in doors with windows, these experts are also knowledgeable about sliding doors, French doors and other paned portals. Your window pro might work closely with other New Jersey builders and remodelers as well. Here are some related professionals and vendors to complement the work of window sales & installation: Window Treatments, General Contractors, Home Builders, Specialty Contractors, Siding & Exteriors. Find a window dealer on Houzz. 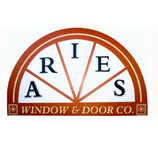 Narrow your search in the Professionals section of the website to Stone Harbor, NJ window dealers. You can also look through Stone Harbor, NJ photos to find examples of windows that you like, then contact the window professional who worked on them.